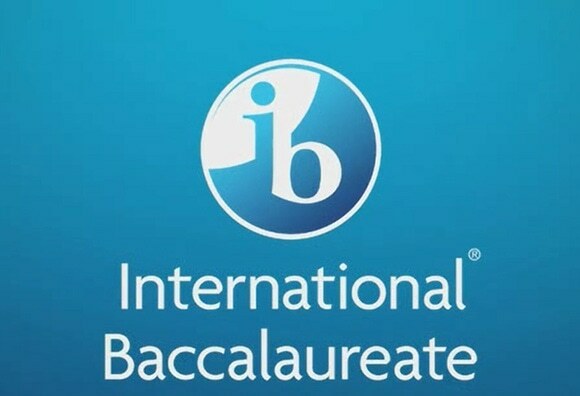 Sitting behind my counselor’s desk, I often find my days in conversations with the Grade 10s as they decide on which IB Course selections they ought to choose to best fit their life’s trajectory. It is easy to simply say, “Just do what you are good at...pick the courses that you are naturally talented in and like.” Well for me, this answer isn’t good enough. Whilst I have now found my life’s calling in a career that is almost perfectly in tune and playing to the strengths of my Via Character Analysis and true passions, the journey here wasn’t without great financial costs and extra dedicated time. I picked a first career that I was good at: Maths. But after advancing to lead IB workshops in mathematics, I realised the greater intersection was yet to come. And after taking the full plunge, I find myself in my happy place. In this intersection lies my responsibility within my own communities and the greatest impetus for my change in career: IB recognition in math through high school and college counseling, in order to change one life at a time. The scurry to counsel students to choose the four new pathways in IB Mathematics to me seems clear. However, having experience understanding multiple country destination requirements in parallel with a deeper understanding of the new courses is a jigsaw puzzle for me. But not everyone enjoys puzzles, and I get that. Definitely no one enjoys one with a time cap of right now. What makes this challenging is that your IB teachers just received the math curriculum guides, and they are only now being upskilled in Subject Specific Seminars. At the same time our schools’ course registrations are being rolled out with next year’s selections, with the aim of building the master schedule. Universities have also only recently received information about these new courses, and they too need time as they pass this information onto their multiple departments to study and provide feedback on the courses and levels that they predict would allow for student success. With all of this, you may be left with the worry that you are guiding your anxious students down a rabbit hole into the unknown future. But my answer is simple. Have your math teachers look at the new IB curriculum guides and specimen papers to determine the level at which each student could find success. Do not let them do your job, which is to ask the student their potential course choices, majors, careers or country destinations. For students who are looking into engineering or maths, look at the number of hours of Calculus. The higher the number of hours, the higher the likelihood of preparing them well for their chosen major. For other courses or for the student who hasn’t yet firmed up a choice...the best thing you can do is ensure that they are picking the more rigorous course if they are able to do well in a higher one. Education is about keeping doors open. For some this may mean taking SL Analysis even when their teacher said they would do very well in SL Applications. While universities will likely keep flexible expectations in the first few years of the new math courses, it is important to highlight that students should definitely stay on track in the rigor they would’ve pursued previously. While admission offices probably won’t spend a lot of time arguing that a student in HL applications isn’t as prepared as their peer in HL analysis, a student taking SL applications is still likely to be viewed as less competitive if they are applying for heavier maths tracks such as Aerospace Engineering programs. And on the note of SL Applications, this iteration is more rigorous than the previous SL Studies. I would encourage universities to have a closer look as to not disadvantage students. If students are placed correctly, my projection is that there could be lower than normal IB predictions from this group simply due to the increased level of difficulty. And then students can have the conversations with their counselors about country destinations, possible courses/majors and start their scheduling from the HLs. In some cases their HL may not be in math. In this case, if the student is strong and/or prefers algebra, SL Analysis. If the student does not particularly enjoy math or they will not be pursuing it past high school, SL Applications is still a robust class at a level higher than most students even partake in many national systems. Again SL Applications is a fantastic course, especially for the fact that it prepares ALL IB students to be mathematically sound. The HL Applications is robust, not only in Statistics but take a look at the hours of Calculus, and you will be duly impressed. It is the most well rounded of the courses but not for everyone. Students who don’t enjoy calculator work for crunching large data sets nor the brain creativity for deciphering the information and/or engaging in probability discussions may not enjoy this course. For me, allowing students to leave school having enjoyed math has and will always be my own personal goal. If you are attending this summer’s conference at Western, the latest updates will be discussed in our session with university members from multiple country destinations and the IBO: “As easy as Pi: IB Group 5 Mathematics by the Slice.” Until then, this will continue to be a collective topic with multiple stakeholders. Please reach out and send me any materials you have/updates as they come in from your universities so we can distribute them in the session. Thanks to Christina McDade for starting the Google Form, “Which IB Math works for your university admissions?” for university feedback and the resulting Google Sheet for high school counselors. We look forward to seeing you all soon. Until then, happy counseling! Comments on ""IB very confused": the new math courses and me"